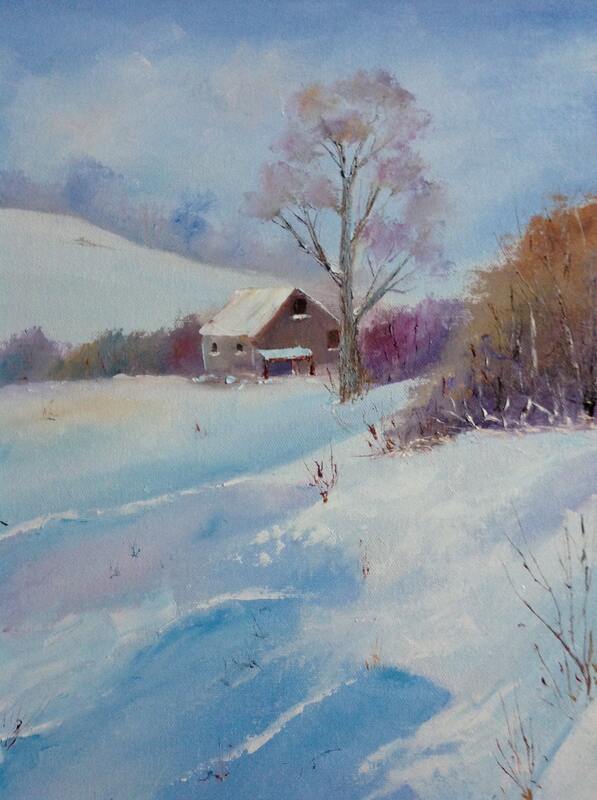 WINTER SNOW is an original 16" x 20" oil painting panel. 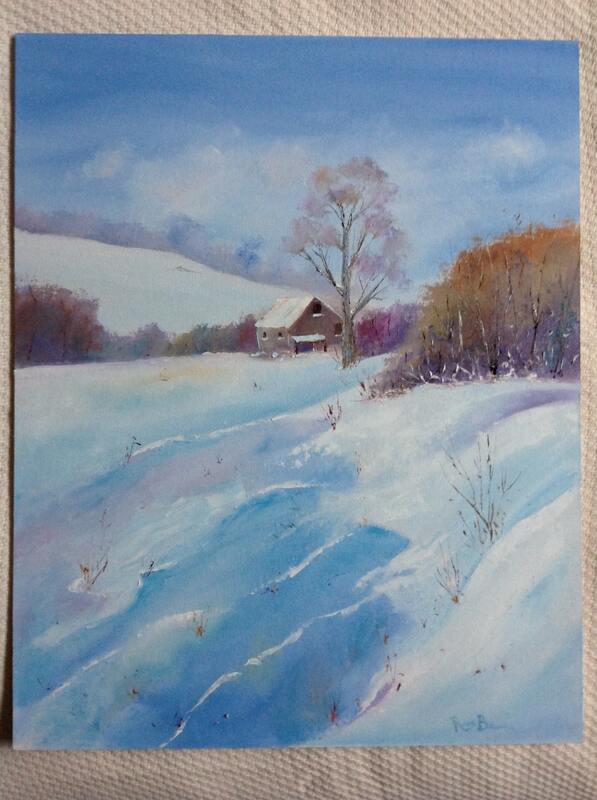 This is a wonderful painting of a snow scene. There is a barn and farmhouse in the background. In the foreground, there is a large tree that stands out in the sky. Next to it is a bank of bushes. 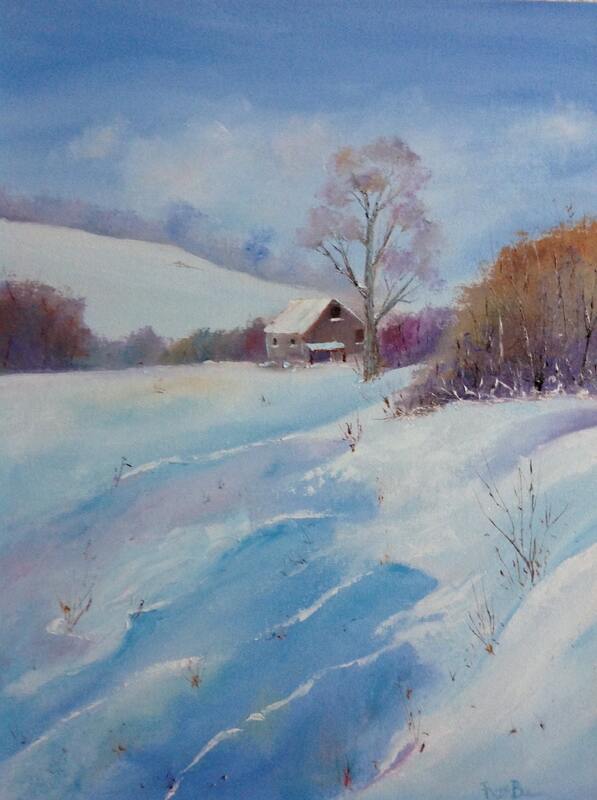 The snowy field comprises the rest of the painting. The sun hits certain parts of the snow, lighting it up. 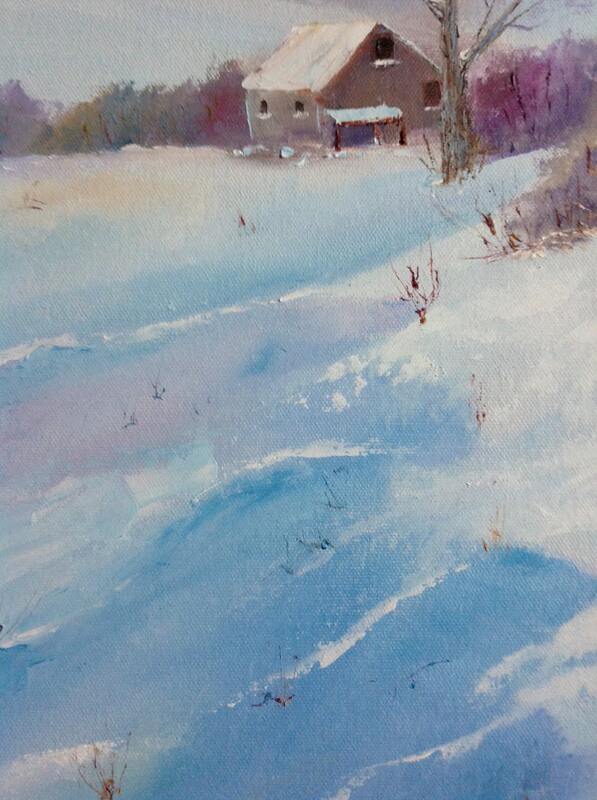 The rest of the snow is in shadow, painted in light cerulean and cobalt blues. The distant horizon has soft pastel colors. The field is covered in freshly fallen snow. This is a rural scene you would see driving down a country lane in the Midwest. I see this type of scene all across hilly southern Indiana. One picture is a closeup of the hedgerow. It's bright with leaves of heather and rust colors. Branches and twigs are covered with globs of snow. This is a very attractive painting that anyone would be pleased to own. The detail on the snow and bushes is simply stunning. 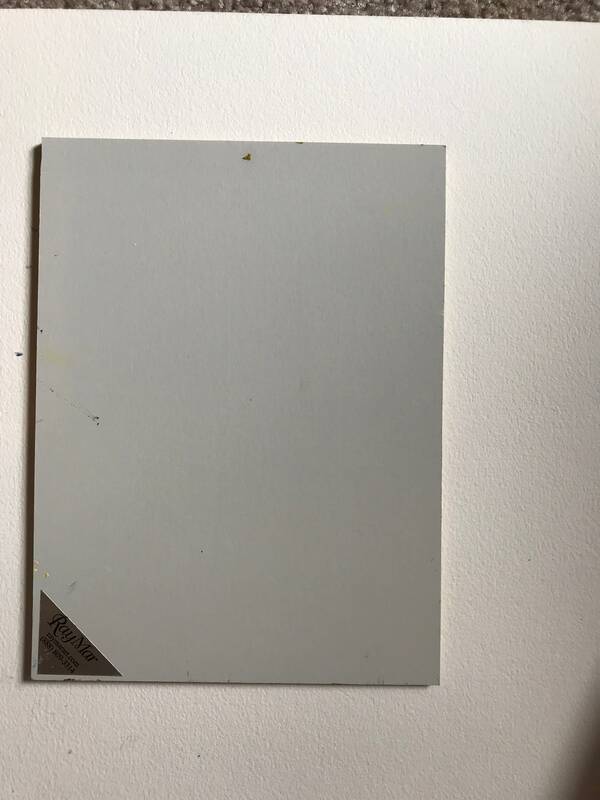 The painting is done on very high quality painting panel and is 1/8" thick.